The new year always brings an incredible urge to get organized, especially in the area of home management. One of the tools I use to keep my home organized is a homemaking binder (aka, home management binder, family planning notebook, home manager, etc.). 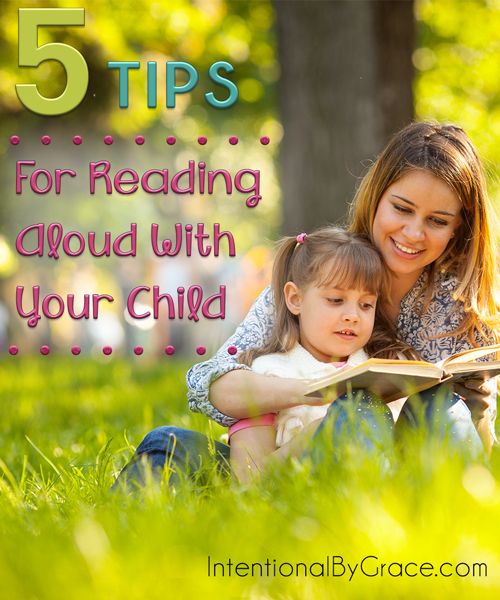 I originally heard about this idea from Lindsay at Passionate Homemaking several years ago. I’ve spent the last couple of years trying to find a way to make it work for me, but more often than not I fell off the wagon. Part of my problem was I was trying to duplicate someone else’s home – what works for one person doesn’t work for me. And I’m a perfectionist of sorts. I like to know I’m doing things in the absolute best possible way for my family. It’s one of my greatest strengths, but it’s also equally as much one of my greatest weaknesses. I was having a very hard time making my homemaking binder work for me and not against me. However because I believed in the concept, and I was tired of never having what I needed on hand, I purposed to find a way to make it work for my family. And now I can say my homemaking binder truly has helped me to be more productive and organized around my house. Today, I’m going to show you what my homemaking binder looks like, what’s inside it, and how I use it on a daily basis. 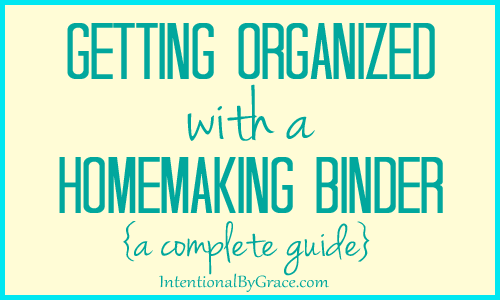 Then throughout the year, I’ll go more in depth into each section to help give you more ideas for how to effectively organize your own homemaking binder. I think the important thing to note is that this is my binder. I like detail. Maybe you don’t. That’s okay! But running a home is a full-time job, and it’s a job that’s incredibly important to God! Therefore, I hope you find this little tutorial helpful, pick up a few tips and tricks, and maybe find a way to make your homemaking binder work for you too! What about you? Do you have a homemaking binder? Sometimes we want to make changes in our lives, but we just don’t know where to start. I know for me, it’s really easy to see all the areas I’m failing miserably. I desire to do what it takes to move in a better direction, but I’m overwhelmed by the magnitude of what actually needs to be done. Basically, I know something needs to change, but I just don’t know where to start. I think we’ve all been there from time-to-time. The answer to digging ourselves out of chaos is to sit down and make a clear plan of action. 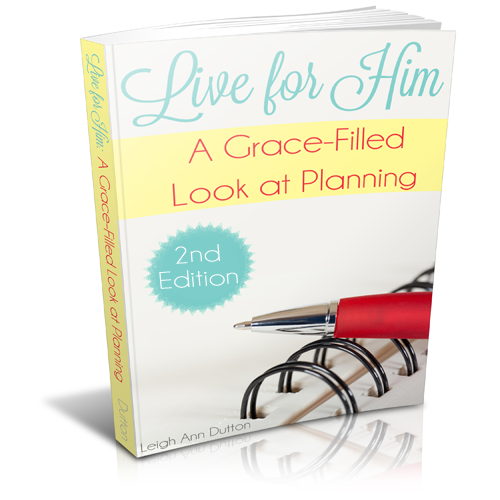 That’s what Live for Him: A Grace-Filled Look at Planning can help you do. Click here to learn more. I love my home management binder. It has evolved over many years and I feel like I finally have it to where it’s exactly how I want it to be. I’ve made very few changes to it over the past year. 🙂 I love how it helps me to stay organized and serve my family. Mine is ever evolving as well…just like life, right? 🙂 I’m excited to have a fellow homemaking binder friend around here! I have Kayse’s book, but havent started anything yet. Thanks for the kick to get going! Thanks for sharing your home management binder. Between Kayse and you I have been inspired to start my first binder. I have designed my own (though I’m sure it will be revised several times!) as I don’t really want to pay for any printables. Think the key to it for me is it holds me accountable for the things I intend to do. Looking forward to getting more organised in 2013! Whoo hoo! I don’t pay for many either. There are a few that I do, as you can tell. 🙂 But I love making my own! Have fun! Leigh Ann, thank you for sharing what you put in your binder. I’m working on making one so that my husband and I can take better care of our house. I have thought about making one but find the process a little daunting. Seeing an example helps so much! You’re right, it is incredibly important to God. Just finished reading, “And whatsoever ye do, do it heartily, as to the Lord, and not unto men” Col 4:23. Your posts help us value (and enjoy) our job beyond our value to our families, who rarely value our labor of love. Thanks for being willing to set an example of diligence with this post. Sara, thank you so much for your encouragement! I’m having such fun tonight changing my binder to incorporate many of your ideas! I love how you’ve helped me (by setting personal yearly goals) to think of my priorities in terms of the roles in which I serve. So I’m having fun creating tab titles to reflect that: As a Steward of Gifts (Planning), As a Daughter of God (Prayer), As a Wife, As a Mama of Five, As a Steward of Time (Schedules), As a Steward of Money (Finances), As a Steward of Our Bodies (Menu Planning), As a Steward of Our Home (Home Inventory), As a Steward of Grace (Hospitality). I also am adding Celebrations so I have a place to keep holiday ideas. Thanks again for the great ideas! I love your tab idea – so creative and so encouraging! Thanks for sharing!